Hace ya unos meses me topé accidentalmente con una página donde habían multitud de imágenes de máquinas virtuales para Virtualbox, en su momento ya hablamos de cómo habilitar los USB en Virtualbox, así que tampoco considero necesario hablar de este programa para emular sistemas operativos. 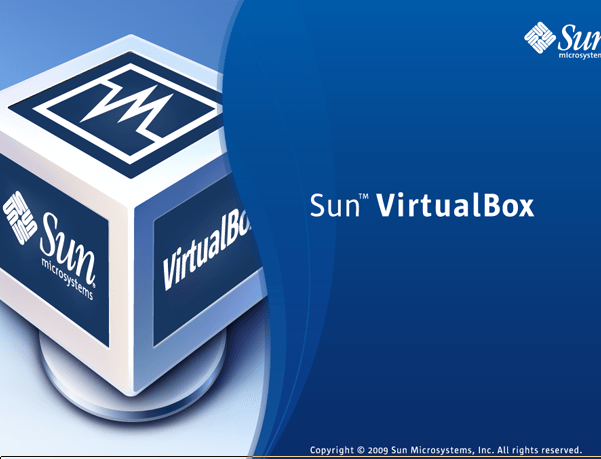 Las máquinas virtuales que nos encontramos en Virtualbox.org son todas de Sistemas Operativos basados en GNU/Linux, GNU/OpenSolaris, GNU/BSD y BSD además de otras, es decir, todos libres. Además incluye la herramienta registerimage, una pequeña GUI para registrar las imágenes en VirtualBox de forma fácil. Lo cierto es que es muy útil , eso sí, sino queremos ninguna configuración personalizada y nuestro único objetivo consiste en coger la imagen y empezar a utilizarlo para ver sus características. Te ahorra tiempo. gNewSense (website): the installation is done from the CD, with default parameters set. Kubuntu (website): the installation is done from the CD, with default parameters set. LinuxMint (website): the installation is done from the CD, with default parameter set. Mandriva (website): the installation is done from the CD, with default parameters set. Moblin 2 (website): the installation is done from the .img/.iso file provided by the project. Slackware (website): the installation has been done from the first CD, selecting the bare minimum disk sets. Ubuntu (website): the installation is done from the CD, with default parameters set. Xubuntu (website): the installation is done from the CD, with default parameters set. VectorLinux (website):the installation is done from the CD, with default parameters set. Zenwalk (website): the installation is done from the Standard Edition CD, with default parameters set. Nexenta (website): the installation is done from the CD. MILAX (website): the installation has been done from the official ISO image. Debian GNU/kFreeBSD (website): the installation has been done from the daily mini.iso. Así que ya no hay excusas pra probar cualquier sistema operativo, ya ni siquiera tienes que crear la imagen virtual.